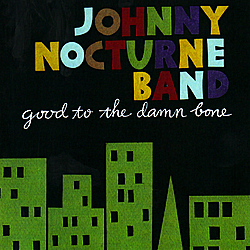 "Good To The Damn Bone" (Blue Bucket #BBR003) This Johnny Nocturne CD is unique in that it features all three vocalist that have worked with the band over the years. All the tracks are previously unreleased. Brenda Boykin performs a beautiful rendition of "When Did You Leave Heaven," Kim. Nalley is her usual sassy self with "That Cat's Evil," Ms. Dee comes on with a bluesy take on "You're Nobody Till Somebody Loves You." Firmin and the band continue with the unique mix of jump blues, small band swing and soul jazz. "Good to the Damn Bone," is the first tenor sax, B-3 instrumental feature by the band. Firmin and Henry Salvia swing through this classic Willis Jackson blues head. This CD is a good introduction to this band if you haven't heard them yet. And a must addition to any previous Nocturne CDs. 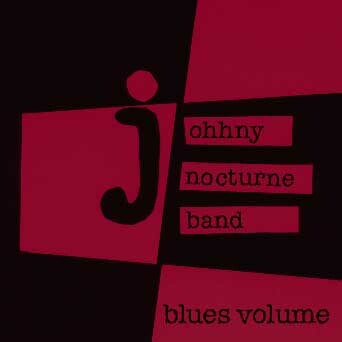 "Blues Volume" (Blue Bucket #BBR001) Tenor saxist John Firmin's "Johnny Nocturne Band's" album "Blues Volume" is the most blues and roots oriented of the band's five recordings. With the addition of new vocalist Miss Dee the band digs into a repertoire of blues based material that runs the gamut from classic Bessie Smith (Young Woman's Blues), jugband style instrumental (Lee Allen), to the big band sophistication of Buddy Johnson (Since I Fell For You), with some Latin for extra spice (Historie Un Amor). Former featured vocalist with the lengendary Johnny Otis Band, Miss Dee brings an original approach to these blues and r&b selections further establishing her reputation as a unique songstylist. "Blues Volume" is another exciting chapter in the Nocturne Band' continuing musical saga..
"Million Dollar Secret" (Rounder/Bullseye 9626) Long before the current swing revival, saxophonist John Firmin was shaping his Johnny Nocturne Band into the classiest, hardest-swinging outfit on the West Coast, "the creme de la creme of contemporary jump / swing bands," according to San Francisco Examiner critic Philip Elwood. 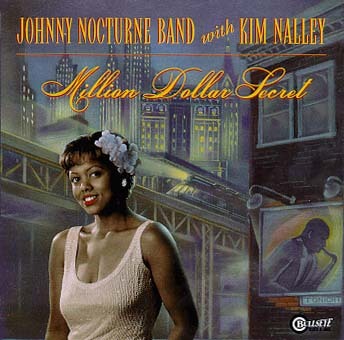 Million Dollar Secret is the first Nocturne album to feature the vocals of Kim Nalley, who Elwood calls "the best band singer, any style, I've heard in years." Still in her mid-20s, Nalley evokes the spirit of such singers as Dinah Washington and Helen Humes. Here is timeless music that excites dancers and listeners alike: the hottest little-big-band jazz you're likely to hear. "Wild & Cool" (Rounder/Bullseye 9586) was recorded live in the studio, and like the previous two albums listed below, with no overdubs. Firmin believes in capturing a performance in the studio, not "constructing a sound." 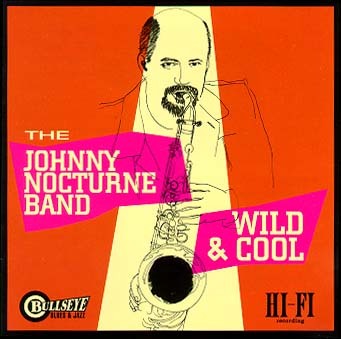 "Wild & Cool" is definitely the hippest of the Nocturne recordings. "Shake 'Em Up" (Rounder/Bullseye 9553) secures their reputed, "highly danceable, electrifying, vintage house party vibe" status. 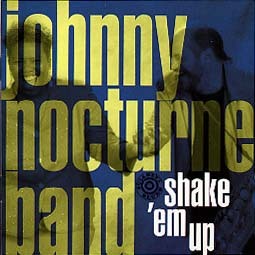 The Johnny Nocturne Band recordings run the gamut from whiskey-drenched rave-ups and brassy mambos to somber after-midnight ballads, and are letter perfect in form. 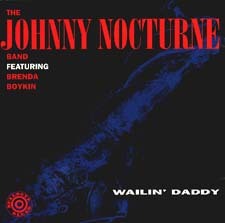 "Wailin' Daddy" (Rounder/Bullseye 9526) solidified The Johnny Nocturne Band's position as the West Coast's jumpin' & jivin' "little big band" that swoops and soars through jump blues, and classic pre-bop jazz.